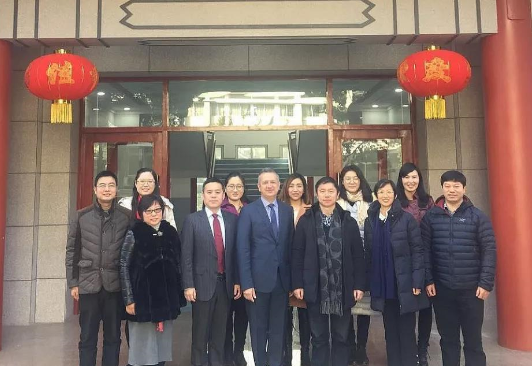 With the invitation from AEMG and partner universities in China, the delegation of Swinburne University of Technology led by Dr. Bill Damachis, Dean of Transnational Education of Swinburne International, and Ms. Sonia Chan, Associate Director of Partnerships & Articulations of Swinburne International, visited Central China Normal University on 10th January. Director General of AEMG Ms. Jenny WANG accompanied the delegation to visit Central China Normal University. 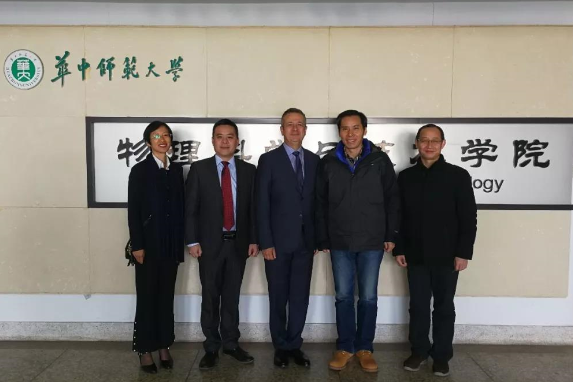 College of Life Science of Party Committee Secretary Mr.QIU Yuhua warmly welcomed the delegation.Senior leaders of College of Life science and other relevant department attended the meeting. Mr. Qiu yuhua, party secretary of the college of life sciences, fully affirmed the achievements. During the meeting, the two parties had a detailed consultation on the cooperation and reached a broad consensus.